The N.A.P.S Kent Group was formed in 2004 by a small group of enthusiasts who wanted to meet on a regular basis all year round. Since our formation we have gone from strength to strength each year. Our meetings take place at Sutton Valence village hall on a Saturday morning from 11.00 until 14.00. 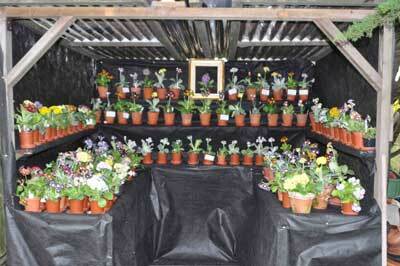 Our Annual show is also held at this venue on the last SUNDAY in April. 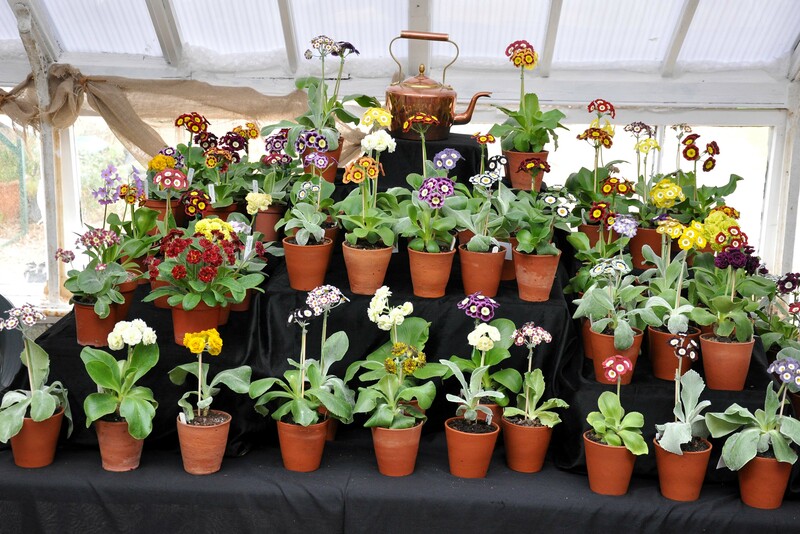 We are very fortunate to welcome speakers who are highly regarded in the Auricula & Primula world who come and share their knowledge with our members, some travelling many miles to talk to us. 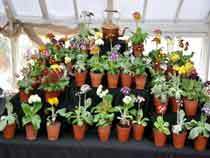 In the past our Chairman and Treasurer have hosted the groups Auricula Theatre display at their home, but recently due to the manufacture of a "Mobile Theatre" we can erect this at any appropriate venue, either members garden or Garden centre (as we did this year) this will give us an endless choice of venue to display these beautiful plants, normally over the May Bank holiday week-end. It is a wonderful opportunity to chat, relax, enjoy good company and refreshments and of course talk plants. All abilities are welcome to our meetings, whether raw beginner or experienced grower. We are proud that some of our members came to us with little or no experience in growing/showing and are now regularly putting plants on the show bench and winning prize cards and Trophies. We can help you overcome some of the cultural problems we have all encountered, help to source those difficult to find plants and generally get maximum enjoyment from growing your plants well.